Brand: Lorann Oils and Flavors L-302016 Units: 16 fl. oz. bottle This artificial clear vanilla has outstanding flavor and offers a less expensive alternative to pure vanilla extract. Double strength for extra rich flavor. Will not discolor your whitest icing. 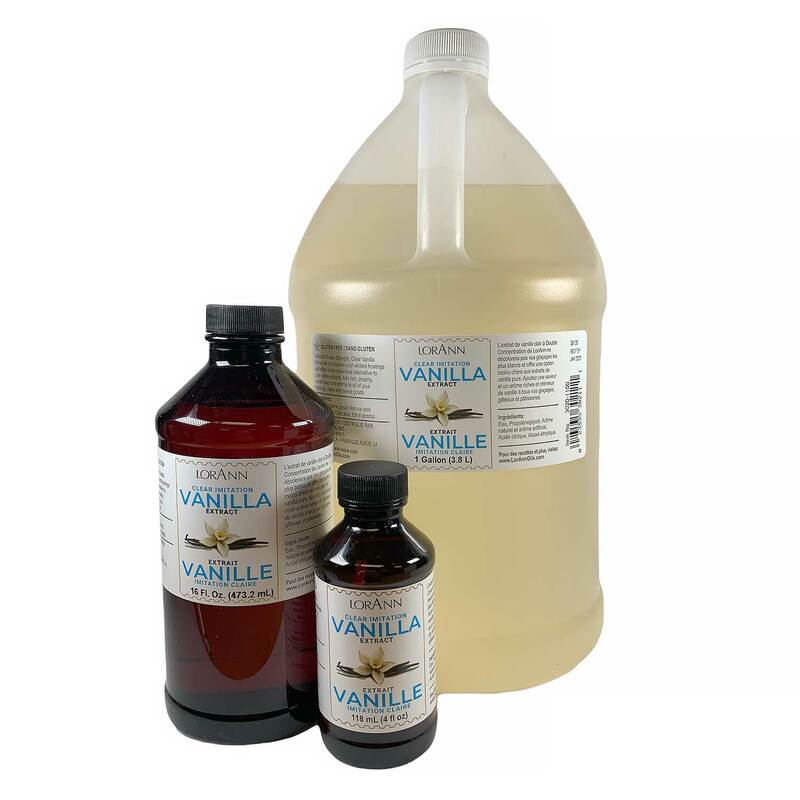 This artificial clear vanilla has outstanding flavor and offers a less expensive alternative to pure vanilla extract. Double strength for extra rich flavor. Will not discolor your whitest icing. Ingredients: Water, Alcohol, Artificial Flavors and Citric Acid.